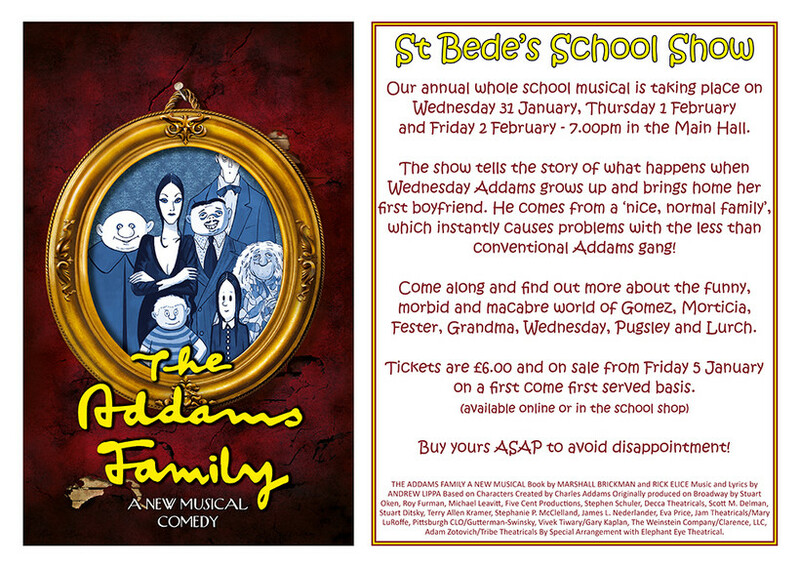 St Bede's School Show - tickets now on sale! The St Bede's annual school show preparation is underway. The cast and band are working hard. All we need now is for you, the audience, to buy tickets to come along and support them - buy online now! Tickets are selling fast but there are still plenty available for the Wednesday evening show. Please encourage friends and family to come along and watch the show too - it promises to be a great evening of entertainment.